It’s scary to watch the video from Japan, and not just because of the frightening explosions at the Fukushima plant or the unstoppable surge of tsunami-wash through the streets. It’s almost as unnerving to see the aftermath — the square miles of rubble, with boats piled on cars; the completely bare supermarket shelves. Because the one thing we’ve never really imagined is going to the supermarket and finding it empty. What the events reveal is the thinness of the margin on which modernity lives. There’s not a country in the world more modern and civilised than Japan; its building codes and engineering prowess kept its great buildings from collapsing when the much milder quake in Haiti last year flattened everything. But clearly it’s not enough. That thin edge on which we live, and which at most moments we barely notice, provided nowhere near enough buffer against the power of the natural world. We’re steadily narrowing the margin. Global warming didn’t cause the earthquake and tsunami that devastated the Miyagi coast, but global warming daily is shrinking the leeway on which civilisation everywhere depends. Consider: sea levels have begun to rise. We’re seeing record temperatures that depress harvests — the amount of grain per capita on the planet has been falling for years. Because warm air holds more water vapour than cold, the chance of severe flooding keeps going up and in the last year countries from Pakistan to Australia have recently ended up on the wrong side of those odds. Those changes steadily eat away at that safety margin. With less food stored in our warehouses, each harvest becomes critical. With each massive flood, we have to spend more money rebuilding what was there before: there are still as many as 4 million homeless from Pakistan’s floods, which means “development” has given way to “getting a tarp over your head”. Even rich countries face this trouble: Australia cut much of its budget for renewable energy to help pay the recovery bill for soggy Queensland. Warmer temperatures are helping dengue fever spread; treating one case can use up the annual health budget for a dozen people in some Asian nations, meaning that much less for immunisations or nutrition. Just the increasing cost of insurance can be a big drag on economies: a study by Harvard and Swiss Re found that even in rich nations such as the US, larger and more frequent storms could “overwhelm adaptive capacities”, rendering “large areas and sectors uninsurable”. The bottom line was that, “in effect, parts of developed countries would experience developing nation conditions for prolonged periods”. There have always been natural disasters, and there always will be. For 10,000 years the planet has been by and large benign; you could tell where the safe margin for civilisation was because that’s, by definition, where civilisation was built. 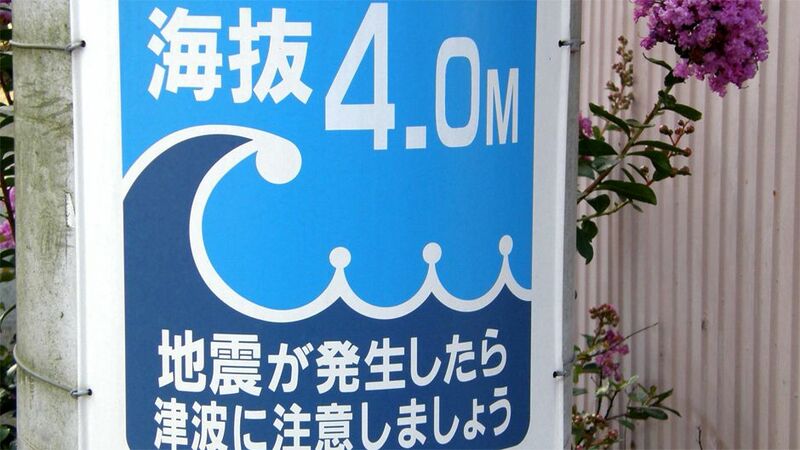 But if the sea level rises a metre, that margin shrinks considerably: on a beach that slopes in at 1 degree, the sea is now nearly 90 metres nearer. And it’s not just a literal shrinkage — the insecurity that comes with smaller food stocks or more frequent floods also takes a psychological toll: the world seems more cramped because it is more cramped. We can try to deal with this in two ways. One is to attempt to widen it with more technology. If the Earth’s temperature is rising, maybe we could “geoengineer” the planet, tossing sulphur into the atmosphere in an effort to block incoming sunlight. It’s theoretically possible. But researchers warn it could do more harm than good, and maybe this isn’t the week to trust the grandest promises of engineers, not when they’ve all but lost control of the highest technology we’ve ever built, there on the bluff at Fukushima. The other possibility is to try to build down a little: to focus on resilience, on safety. And to do that — here’s the controversial part — instead of focusing on growth. We might decide that the human enterprise (at least in the west) has got big enough, that our appetites need not to grow, but to shrink a little, in order to provide us more margin. What would that mean? Buses and bikes and trains, not SUVs. Local food, with more people on the farm so that muscles replace some of the oil. Having learned that banks are “too big to fail”, we might guess that our food and energy systems fall into that same category. Imagine, for instance, a nation that got most of its power from rooftop solar panels knitted together in a vast distributed grid. It would take investment to get there – we’d have to divert money from other tasks, slowing some kinds of growth, because solar power is currently more expensive than coal power. We might not have constant access to unlimited power at every second of every day. In the end, though, you’d have not only less carbon in the atmosphere, but also a country far less failure-prone. The solar panels on my roof could break tonight — and I’d have a problem if they did — but it wouldn’t ramify into rolling blackouts across the continent (and no one would need to stand in my driveway with a Geiger counter). Such changes wouldn’t make the world safe: climatologists promise us we’ve already put enough carbon out there to raise our planet’s temperature two degrees in the decades to come, which will make for a miserably difficult century. But they also promise that if we don’t stop burning coal and oil, that number will double, and miserable will become impossible. With Japan’s horror still unfolding, there’s nothing to do for the moment except watch, pray, and try to find some small ways to help people caught up in forces beyond their control. But the lesson we should learn, perhaps, is that it’s time to back off a little. Suddenly squat and plain words — “durable”, “stable”, “robust” — sound sweeter to the ear. This article was originally published on guardian.co.uk. Bill McKibben is Schumann Distinguished Scholar at Middlebury College, founder of the global climate campaign 350.org, a regular contributor to TomDispatch, and the author, most recently, of Eaarth: Making a Life on a Tough New Planet. Can Nuclear Power save Japan from Peak Oil?